Direct reading torque screwdriver ideal for inspection. Available in SI, Metric, or American units. Select model by unit and torque range required. 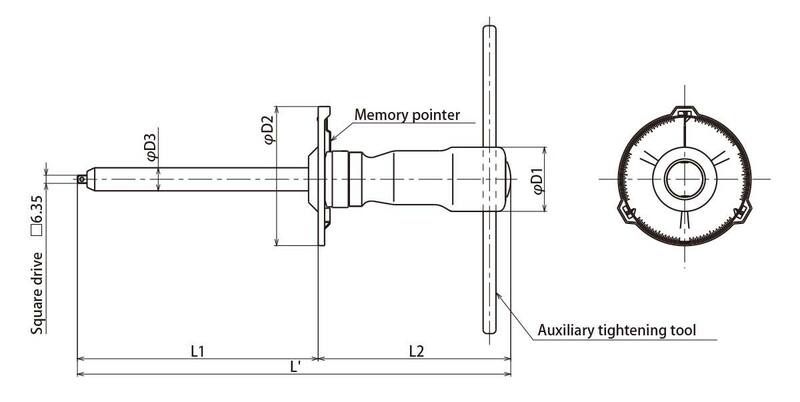 Memory pointer captures peak torque. Accepts standard 1/4" hex root size bits (sold separately). FTD8N2-S and FTD16N2-S have 1/4 sq drive and come with Auxiliary tightening tool and bits as standard accessory. Memory component *Note: Bit shown in photo is an option. FTD8N2-S and FTD16N2-S tips are square drive type (6.35 mm). Bits and auxiliary tightening tool are standard accessories only for FTD8N2-S and FTD16N2-S.